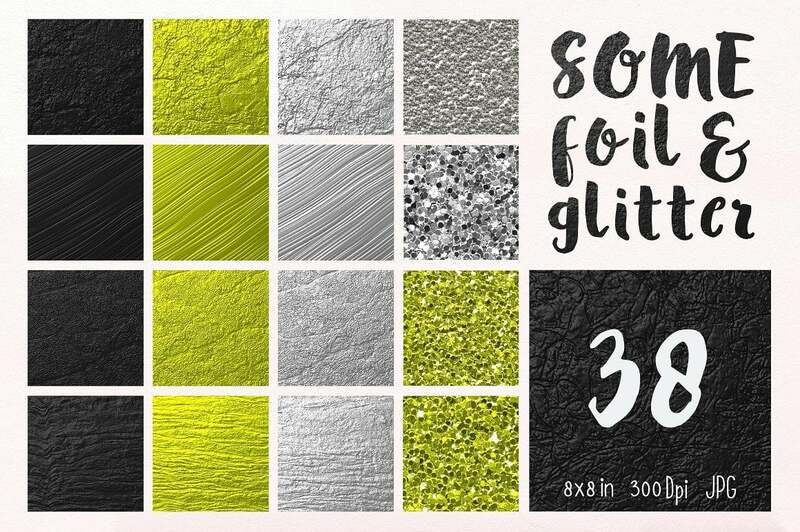 Originally packed with 21 fonts, 21 symbol fonts, 85 digital textures and 50 logo templates, this product comes with a massive saving of 91 % off the RRP $349 value. Very basic fonts that support only standard English character. A-Z a-z 0-9 & some symbol. Available in .TTF files. 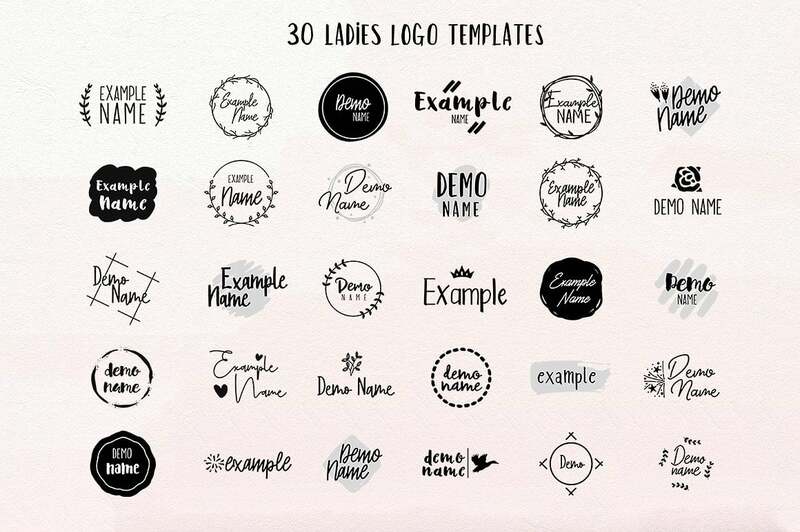 Fonts symbols or dingbats that contain 62 characters per fonts. A-Z a-z 0-9. Available in .TTF files. 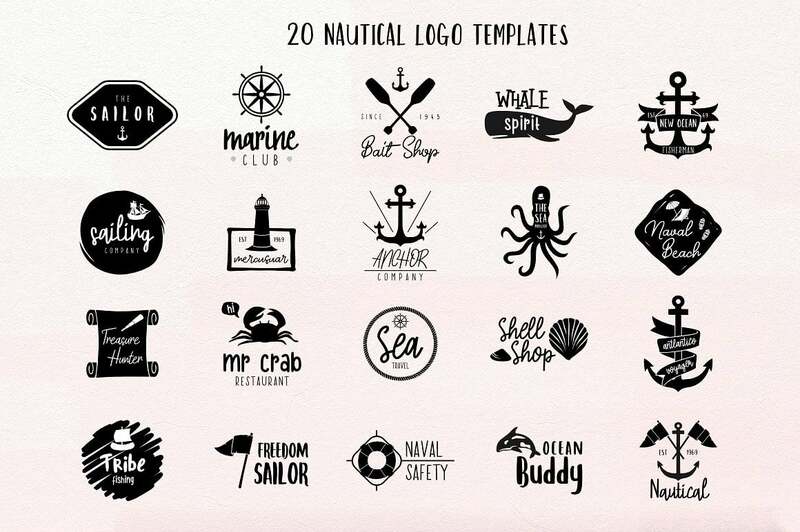 20 Nautical Logos and 30 Laddies Logo templates with samples name only for example (we are not selling the company name, we sell tempates). You must install all the fonts first before editing. Available in Ai CS2, EPS and SVG Inkscape. 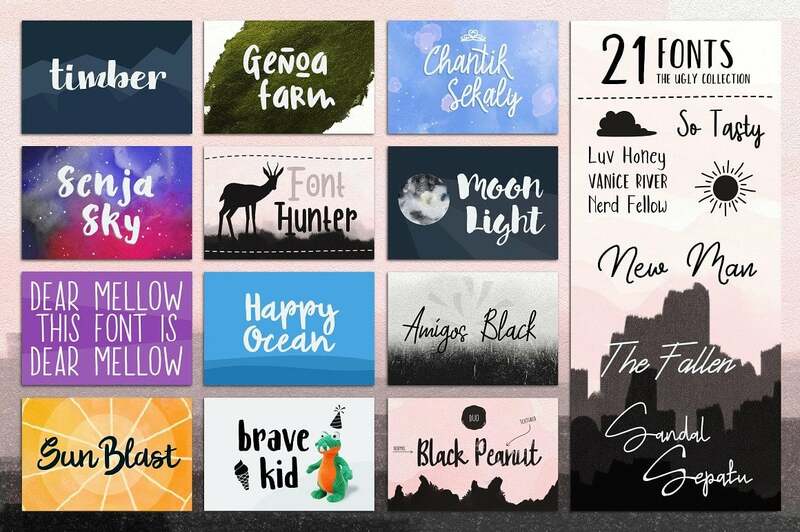 The vector files of 21 Font Extras. Available in Ai CS2, EPS and SVG Inkscape. 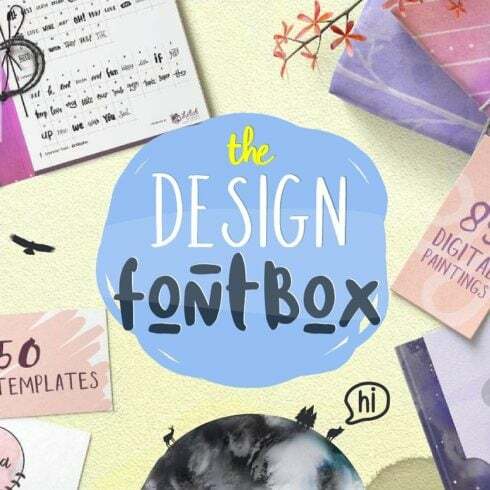 The Design FontBox is suitable for designers, students or Etsy sellers, for personal or commercial use. Font is a visual rendering of text. 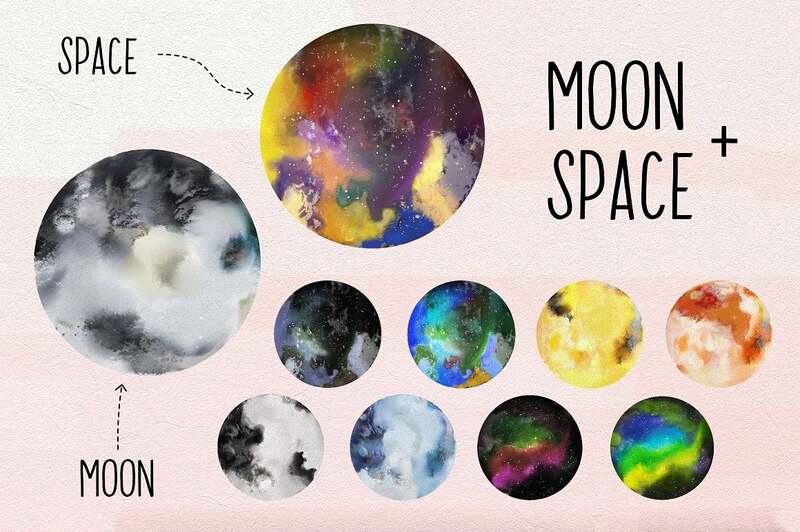 You can also summarise it as a design for a set of characters. With various patterns, point sizes, font weight, and shade, fonts often set the style of complete design. The price tag on a single font fluctuate from about $7 to $100 with respect to the marketplace and creator. The Definition Of Bundle Deals and What Is The Pricing For Them? 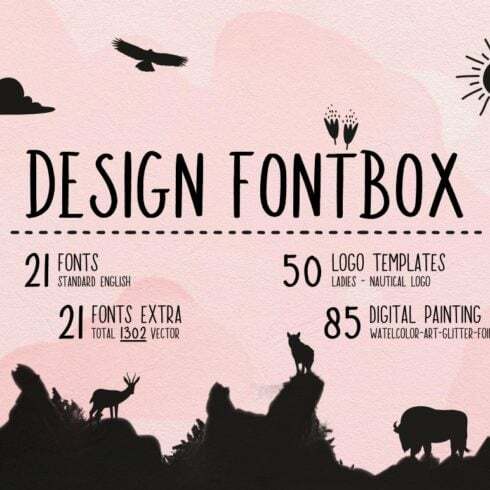 A font kit is simply a range of multiple web fonts offered at a significantly reduced cost. 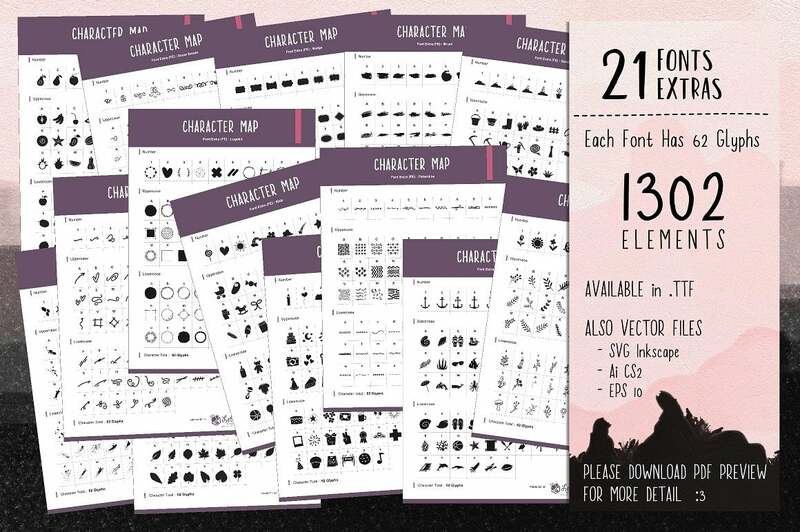 One of the benefits of getting sets is that they cost a little more than a single font does, as long as they are on discount. 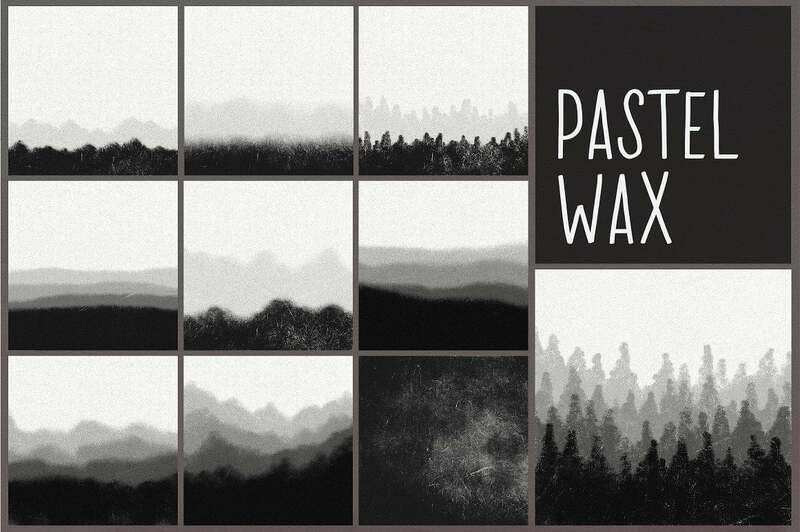 The typical cost of a web font kit on our site is just $2-20. But hurry up: the life cycle of every bundle lasts less than 5 days. There are 5 types of fonts. Serifs tend to be more typical, you can detect them via small lines attached to letters. Sans-Serif fonts are a newer type, and letters don’t have tiny “feet” . 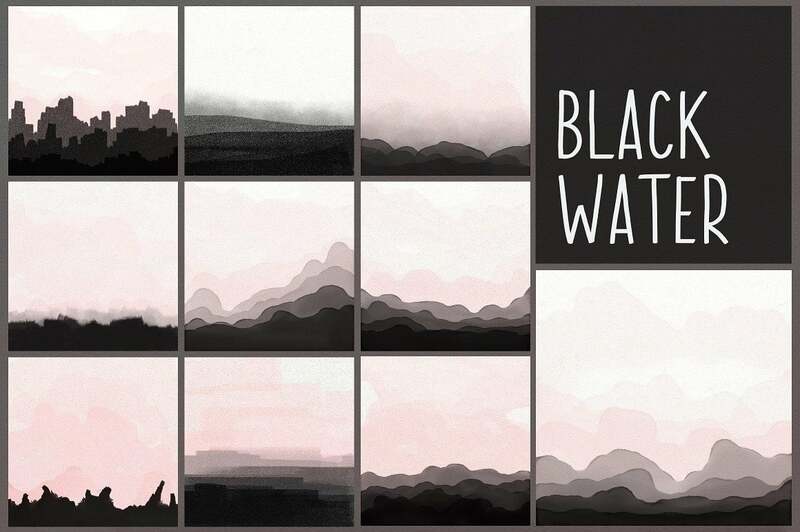 Slab-serifs are generally blocky and massive, these fonts add more substance to the design and style. Script fonts mimic hand writing and have interconnected letters. Stencil fonts have curved edges and thin strokes, rely on them to make an artistic headline. How Do Fonts Have An Effect On The Perception of the Service? The standard of typography determines how users comprehend and understand written information. Fonts make it possible to grab curiosity and determine structure. They set the mood and create brand recognition. Marketing experts understand that typography can create or break just about any visual advert, logo, or brand design. As soon as you uses sloppy or commonly used typography, people see the style and design as low quality and never keep reading. If the typography is unreadable, the whole creative project fails to achieve its goals. Don’t worry about it! MasterBundles.com delivers tons of various bundle options for numerous occasions and styles. Just check out our website and you’ll definitely find something to your preference and expectations. 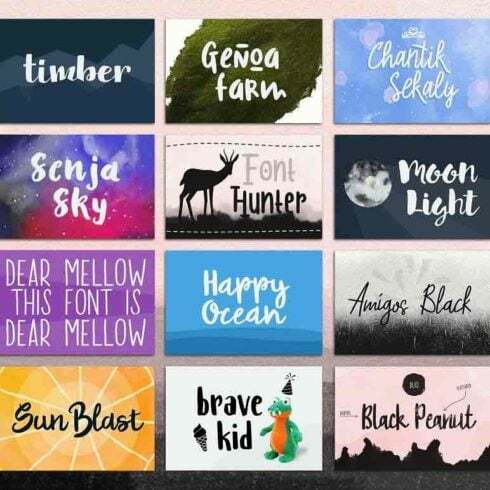 Apart from font bundles, our site boasts many unique bundles. 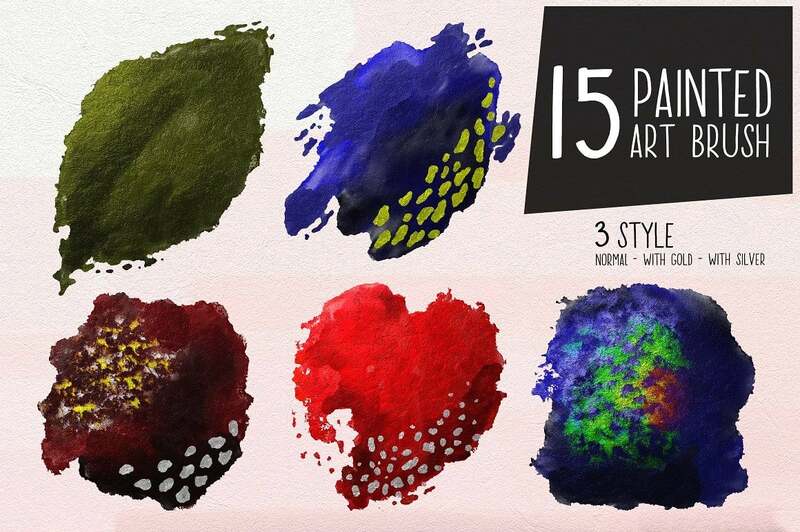 Take a look at image bundles, icons, textures and patterns, web template packages. 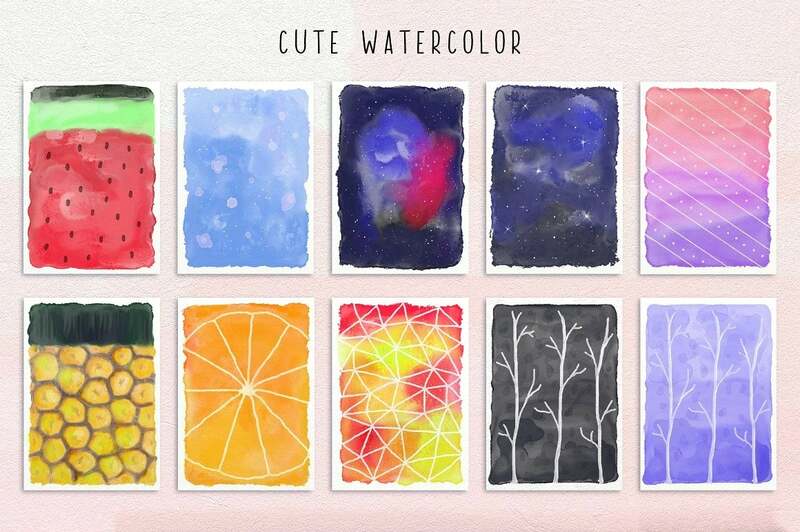 There are additionally e-books and courses, stock photography, logos, illustrations and add-ons, mockups, and other categories. We have thematic X-mas and Valentine’s day packages, postcards and powerpoint presentations. And, not surprisingly, our favorite under $5 deals! MasterBundles is the best marketplace for buying web design products that will definitely simplify your work approach. To make our web solutions and kits affordable for everyone in spite of their funds, we usually offer huge discounts and handle monthly sales. Having said that, you got to be attentive, because the offers on most packages last for only five days. If you don’t want to overlook the sales, just subscribe to Master Bundles newsletter and stay up-to-date with the most current arrivals and available vouchers. To check out the available coupons, visit this page.